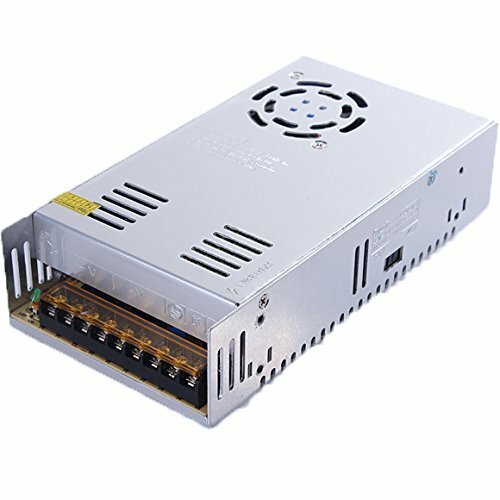 Switch power supply, convert AC 110V/220V to DC 12V 30A 360W. Dual input voltage: AC 110V/220V. There is a switch, choose the proper voltage before use. Protection: Shortage Protection, Overload Protection, Over-voltage Protection:115%-135%,Action output cut-off Reset:Auto Reset or fuse. Wide input voltage range, steady and precise output voltage.Great power transformer for electronic equipment, Led Lighting, home appliance etc. If you have any questions about this product by BMOUO, contact us by completing and submitting the form below. If you are looking for a specif part number, please include it with your message.